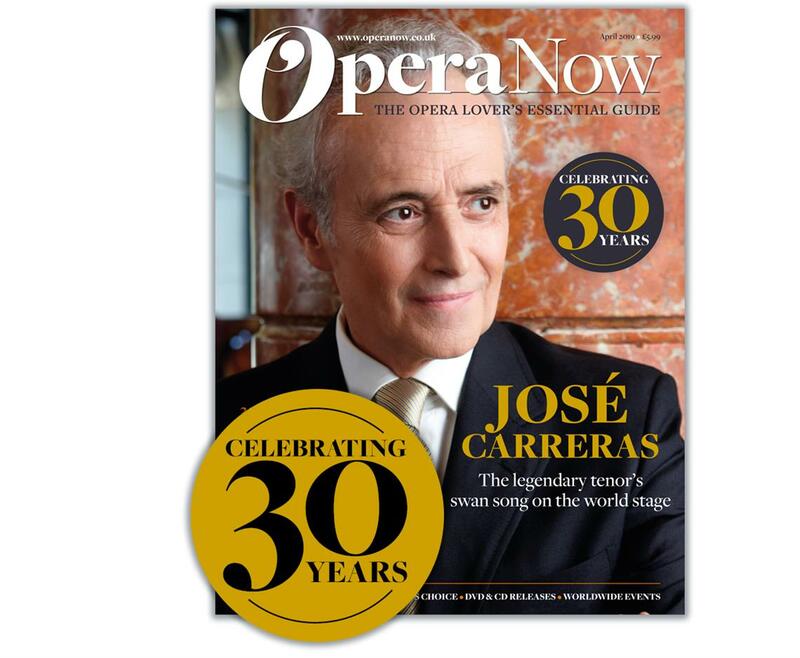 To celebrate Opera Now’s 30th anniversary, we’re delighted to offer you the chance to save 15% on our new-look magazine. Now published monthly, our elegant new design showcases the drama, colour and vitality of one of the most powerful of all the performing arts, with our larger format bringing you closer to the action than ever before. To claim your discount, please enter promotion code ON2019 at the checkout. 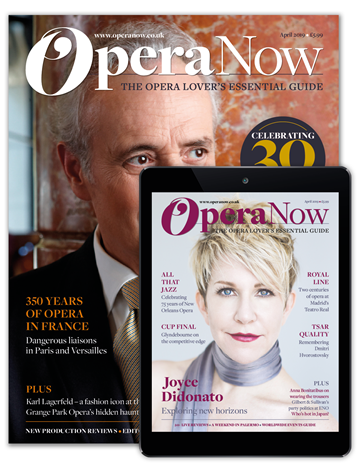 "Opera Now is a wonderful resource for music lovers everywhere. With its inviting layout and vivid photography, it makes us feel as though we were there."